So about two, almost three months ago I ordered an ereader. I’d been wanting one, but I’m too cheap to blow a hundred bucks on the most boring of all models, and definitly not more on the more high falutin' models or devices. I like toys with all kinds of features to play with. 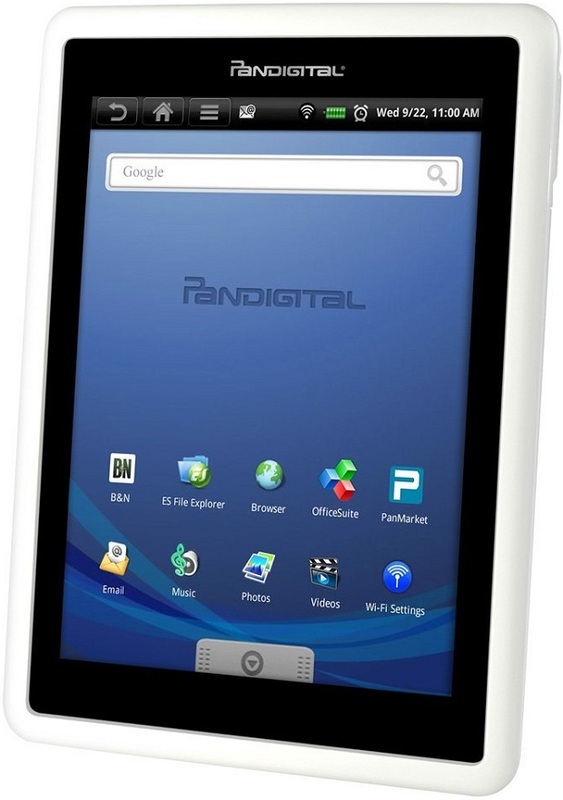 So when my boyfriend found the Pandigital Novel on sale for half off at Newegg, I sprang for it. I actually haven’t been able to use the thing much since I’ve gotten it, sadly. I have this here stack of to-read paper books that I actually want to read. However, I made an excuse to do some reading on it--I had to see what it was like. So, I read through the first four episodes of the Grit City emotobook serial novel; issues 1-5 are out now, and I cannot wait to read the fifth! A lifetime of reading books has ingrained into me certain reading habits, and apparently, they haven’t changed with picking up an ereader. The only difference in reading on a device, as far as I noticed was the page turning. The screen did not bother my eyes, it wasn’t huge and ungainly to hold (like hardcovers tend to be). I sat on the couch reading, completely glued to the story, waiting, waiting to see what would happen next...the page turning was quick and letting my eyes flick to the top of the next page with ease. And when I knew I had to put the “book” down to go run an errand, I started patting the cushion beside me, then my lap, then the arm of the chair... and when I reached the end of the paragraph I grinned because I did not need the bookmark I was searching for. It looks like reading is reading, words through the eyes into the brain. Books are nice, but all you need is text. My disclaimer is that the text needs to be a legible easy-to-read font with proper formatting. We're excited to introduce KDP Select - a new option dedicated to KDP authors and publishers worldwide, featuring a fund of $500,000 in December 2011 and at least $6 million in total for 2012! KDP Select gives you a new way to earn royalties, reach a broader audience, and use a new set of promotional tools. When you make any of your titles exclusive to the Kindle Store for at least 90 days, those with US rights will automatically be included in the Kindle Owners' Lending Library and can earn a share of a monthly fund. The monthly fund for December 2011 is $500,000 and will total at least $6 million in 2012. If you haven't checked it out already, the Kindle Owners' Lending Library is a collection of books that eligible US Amazon Prime members can borrow for free once a month with no due dates. You'll also now have access to a new set of promotional tools, starting with the option to promote your KDP Select-enrolled titles for FREE for up to 5 days every 90 days. So, basically, Amazon is now offering a pool of money for authors who are willing to participate in the Kindle Owners' Lending Library. This means your book will be available for free to anyone who subscribes to Amazon Prime. In return for adding your book to this library, you will get a portion of the money pool depending on how many times your book is downloaded. The caveat is that your book has to be an Amazon Kindle exclusive for at least 90 days. This is a very interesting move on Amazon's part. They are basically trying to buy exclusive titles. I'm usually a skeptic when it comes to things like this, but I am still thinking of putting my next book into this program. Honestly, while I do like Smashwords, I get more sales from the Kindle Store. And it's not a permanent agreement, so I can always publish it with Smashwords later. My question is just how much money could be earned in exchange for doing this? My expectation is that a few authors will do very well, and then the lending library will be flooded with titles, and the available money will be spread so thin that it will no longer be worth enrolling books in the program. Or someone will file an antitrust suit, because, in all seriousness, this move is a potential threat to every other ebook retailer out there. And yet, in the short term, I think it's worth trying if you have a book that is ready to be published.